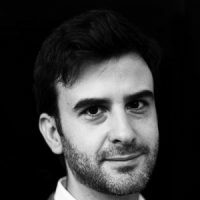 Ricardo Mamede is Assistant Professor of Political Economy at the Lisbon University Institute. He holds a PhD in Economics from Bocconi University (Italy) and a Master’s in Economics and Management of Science and Technology from the Technical University of Lisbon. A long book is probably too short to explain the European crisis in full length and depth. Contrary to what some neoliberals may claim, successive Portugese Governments have followed sound fiscal policy in order to bring their country into line with Eurozone requirements. However, the austerity being imposed on Portugal by the EU runs the risk of undoing decades of progress, and isolating Portugal from the European economy.